Attorney Edwards graduated from Penn State Dickinson School of Law in 2005. While in law school Ms. Edwards clerked for Judge Rambo of the Middle District of Pennsylvania. Ms. Edwards has practiced workers’ compensation since 2008 with firms located in Central Pennsylvania. Ms. Edwards is a social security disability and workers’ compensation defense attorney. She assists clients with the social security disability application process as well as files appeals when appropriate. 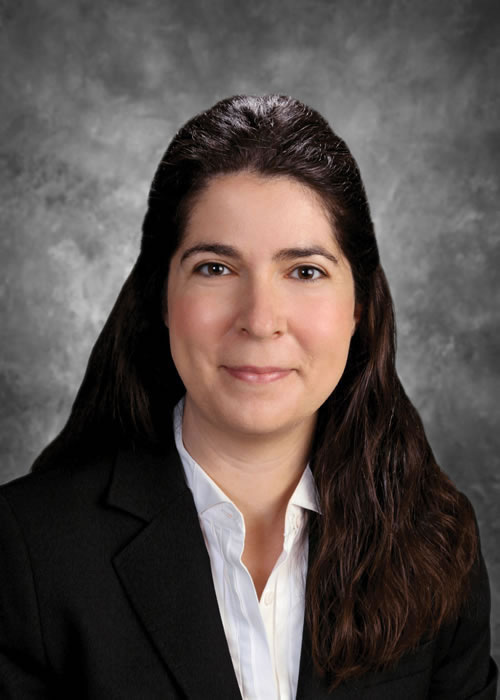 Ms. Edwards is certified specialist in the practice of workers’ compensation law by the Pennsylvania Bar Association’s Section on Workers’ Compensation Law as authorized by the Pennsylvania Supreme Court. Since 2005, Ms. Edwards is a member of the Pennsylvania Bar Association and is admitted to practice before the U.S. District Court for the Middle District of Pennsylvania. Edwards has been recognized as a “Rising Star” by Super Lawyers. Ms. Edwards is fluent in both Spanish and Portuguese. Penn State Dickinson School of Law, J.D. How Should an Employer Handle a Repetitive Motion Injury? In manufacturing jobs many times employees are required to perform the same motion repeatedly or maintain certain body positions or grips, which can result in repetitive motion injuries. https://www.mette.com/wp-content/uploads/2019/02/mette.jpg 310 700 ME&W https://www.mette.com/wp-content/uploads/2018/12/MetteLogo_white-1.svg ME&W2018-09-12 18:57:532019-03-15 10:38:01How Should an Employer Handle a Repetitive Motion Injury? Social Security Disability (SSD) is for people, who during their employment history, have amassed enough work credits by paying Social Security payroll taxes. To be considered for Social Security Disability you must be suffering from a severe condition that is expected to last at least 12 months; or result in death; or that prevents you from performing the work you did; or any other work at Substantial Gainful Activity levels. The Court decided in Attorneys Farrell and Edward's favor that the Workers' Compensation Judge does not have jurisdiction to review a Utilization Review Determination where the Provider under review fails to provide medical records to the reviewer. The Court also held that denying the Claimant the right to a hearing did not violate the Claimant's right to due process because the Claimant does not have a property interest in his future medical treatment. Bruder Jr., Paul J. Farrell, Michael A.